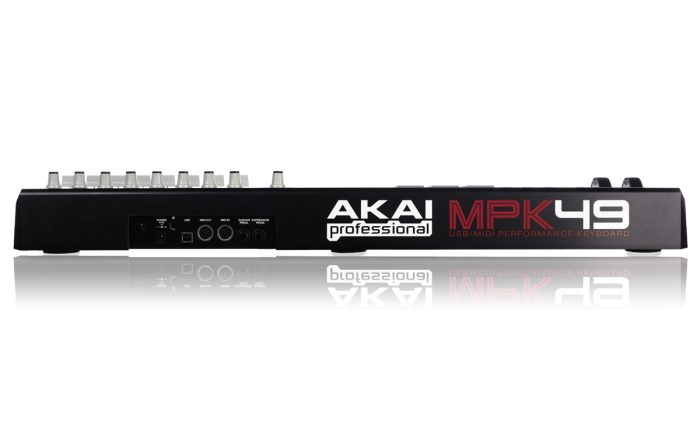 MPK49 Performance Controller With 12 MPC Drum Pads. Delivers powerful tools for maximizing your musical ideas. 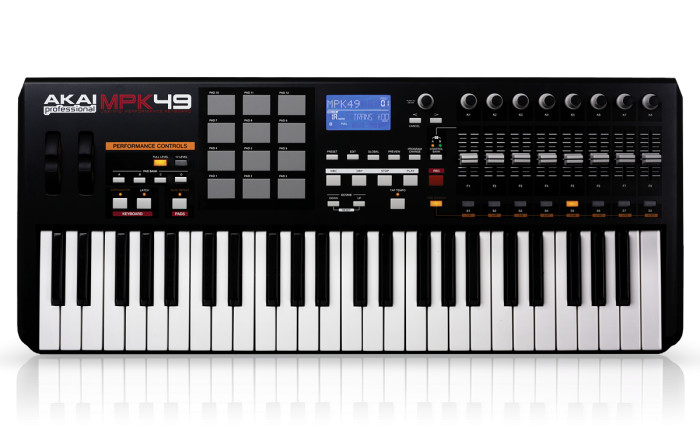 Beat creation, MIDI sequencing, and live performance control are all possible with Akai's MPK49 USB/MIDI controller. Featuring a sleek black design, this 49-key, semi-weighted keyboard with aftertouch comes with 12 MPC-style drum pads with 4 pad banks each for a total of 48 total pads. 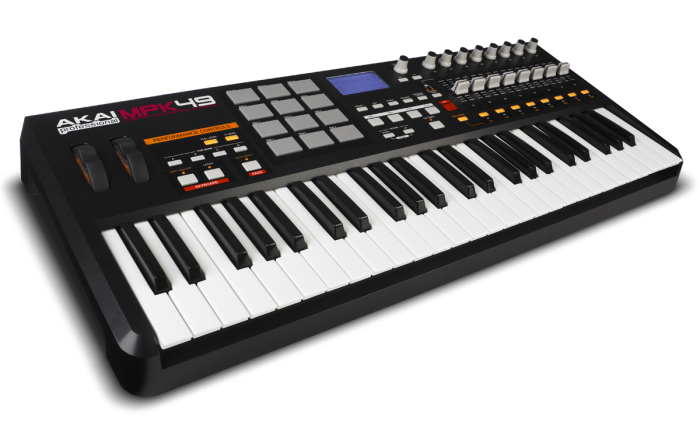 The pads have swing parameters that can be applied to the MPC Note Repeat function and the MPK49 keyboard's own arpeggiator for instant creation of ear-catching riff effects. They also feature the MPC-style Full Level and 12 Level velocity functions. Included in the array of assignable controls are 8 full-sized, 360-degree rotation pots, 8 full-sized sliders, and 8 backlit switches. All of them come with 3 banks, giving you a total of 24 pots, 24 sliders, and 24 switches to play with. Amongst the other assignable inputs are an expression pedal, footswitch, pitch bend, and modulation wheel. 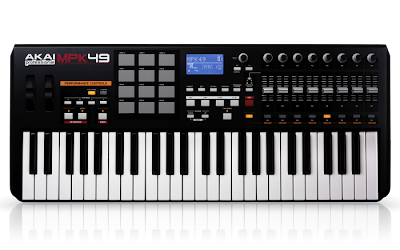 The MPK49 MIDI keyboard controller also has Tap Tempo and time-division buttons allow for realtime control of Note Repeat and Arpeggio clock speeds. The large, custom LCD display makes it easy to see what you're working with, whether in the dark atmosphere of a nightclub or in the comfy confines of the studio. 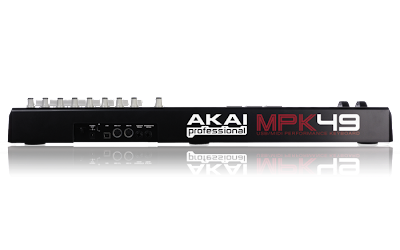 Take total control of your MIDI performance with the Akai MPK49.